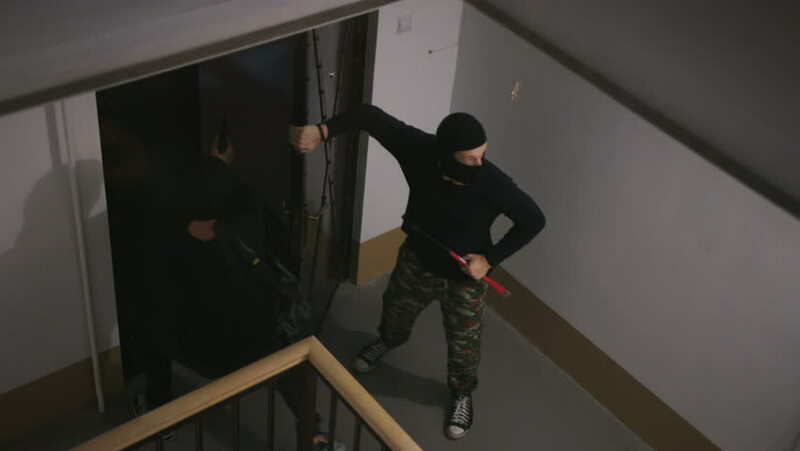 Two armed chiefs in black balaclavas picking lock and getting into apartment of rich people for commit crime. Darkness. Night time. hd00:20Handsome hip-hop dancer dressed in black trousers and pullover performing handstand as an element of urbanstyle and streetdance in the classroom. hd00:22Young man washing hair under shower.